Much history and theory is uncovered here in the first comprehensive study of zine publishing. From their origins in early 20th century science fiction cults, their more proximate roots in ‘60s counter-culture, and their rapid proliferation in the wake of punk rock, Stephen Duncombe pays full due to the political importance of zines as a vital network of popular culture. 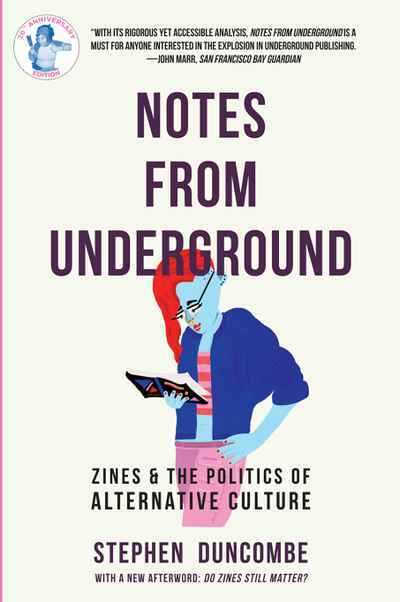 He also analyses how zines measure up to their utopian and escapist outlook in achieving fundamental social change. Packed with extracts and illustrations, he provides a useful overview of the contemporary underground in all its splendour and misery.